Private Internet Access (PIA) is a VPN service based in the United States that is very popular worldwide for its great network performance and a broad range of connection locations. This virtual private network is also one of the cheapest VPNs on the market and a reliable service for torrenting at high speeds. PIA has over 3,200 servers worldwide and delivers optimal performance through a system that does not allow any leaks. 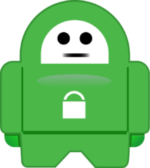 This VPN uses solid data encryption and a “No logs” policy that protects most of your personal information, minus your email address and the payment data, which they are required to store temporarily as per US law. With a thorough presence in more than 28 countries, Private Internet Access is also one of the easiest VPNs to reach by both experienced users and people who are new to virtual private networks. Most of its users take advantage of the strong encryption protocol and P2P support feature to download torrents from anywhere across the world. After testing Private Internet Access (PIA) for a decent amount of time and experiencing all the features that it has to offer, we have concluded that this VPN service scores a solid 9.5 rating out of 10 in our books. In this Private Internet Access review we will break down their services in detail, so you can see why this VPN software is one of the top choices on the market for millions of users. Very few consumers have found minor complaints with PIA, and they were mostly related to the difficult interface or the inability to use Netflix on it. Other than that, Private Internet Access provides exquisite features of torrenting speed and data protection for decent, affordable prices. Private Internet Access numbers over 3,200 servers in more than 28 countries, and over 40 cities. This service is one of the most widespread networks in the world, and while it does not feature in China or Russia, it is still present in many places from Australia to the US. Most of these servers are located in the Middle East and Asia, while South America hosts only one in Brazil. Some users have complained about overcrowded servers, especially the ones located in Oceania. However, we did not experience any problems with speed or connectivity in our extensive tests. Private Internet Access continues to grow its global network, and experts believe that it will reach 4,000 servers in the near future. We can only hope for that prediction to become reality, as long as PIA keeps its low, affordable prices. Regardless of the payment plan that you choose, Private Internet Access will provide proper VPN services with a high level of privacy and identity protection. Also, you will get to unblock censorship filters and access the information that you require without risking any penalty. Last, but not least, the extensive network of servers spread all across the world enables you to connect quickly and transfer data at a reliable speed. One of the reasons why Private Internet Access has so many users worldwide is its above-average speed. If you have ever used a VPN with a slow downloading speed you will immediately see the difference when you use PIA. This private network offers some of the best downloading and uploading features on the market and it scored some of the highest values on our speed tests. Since everyone is talking about the excellent speed of Private Internet Access, we have decided to take this VPN apart and test its performance on different servers. Our first choice for the speed test was a US server since the company that owns Private Internet Access is registered here. On a New York server we got a download speed of 77.55 Mbps, and an upload speed of 37.25 Mbps, all with a Ping of 118ms. Next, we tested Private Internet Access on a European server, and we picked Amsterdam as the server’s location. The downloading speed was a whopping 81.45 Mbps, and the uploading speed was 40.30 Mbps, as the Ping was 41ms. Finally, we chose a server from Hong Kong to test the speed of Private Internet Access, and we noticed a Ping of 283ms, a downloading speed of 69.98 Mbps and an upload speed of 13.04 Mbps. At these impressive speeds, Private Internet Access is one of the fastest VPN services out there. You can safely use this virtual private network to download torrents at incredibly high speeds and access websites and resources that are otherwise inaccessible from your location. Additionally, you can access Private Internet Access on a variety of browsers that include popular choices like Mozilla, Google Chrome and Opera. As a result, you can install and use PIA without having to download other programs or browsers that you don’t normally use. The best feature of Private Internet Access in terms of compatibility is its ability to connect to routers. Many VPN services are compatible with popular operating systems and browsers, but few can do what PIA does and support routers and similar networking devices. In conclusion, if you need a safe and reliable VPN service with a high grade of compatibility, you don’t need to look further than Private Internet Access. Not only will this virtual private network connection to most systems and routers through popular browsers, but it will do it at a high and constant speed. Private Internet Access employs some of the most reliable safety protocols when it comes to the protection of personal data. Users can browse websites safely and download torrents without the risk of having their information accessed by third parties. You can pick the encryption level that suits your interest the best. The one that we recommend is Maximum Protection, which is extremely difficult to break and it will keep your personal data well-preserved. However, if your computer is not that powerful and you fear that technical glitches will affect its performance, you can go for the Default Recommended Protection. The All Speed No Safety option speaks for itself. With this module, you will get really speedy transfers but you will not benefit from any data encryption, which means that most of your personal information will be susceptible to transfer and thieving. Finally, Risky Business is a data encryption feature of Private Internet Access offers high speed for torrenting or streaming, and it will complete your tasks quicker than most VPNs out there. However, it is also dangerous for your authentication data, and you might see your email and other login information available to third parties as well. From our experience, you should opt for this feature only in extreme and urgent cases. Private Internet Access has a great collection of special features in its offering. The developers gave their best to ensure that users will not miss most of the options that are available through other popular VPNs on the market. Even with the basic payment package, you get access to essential benefits of virtual private networks that will improve your online experience. PIA offers you the option to disconnect automatically and immediately in case of a security breach. The Kill Switch feature closes your applications and cuts off access to any VPN service as soon as it encounters a security issue or a factor that could affect data protection. Torrenting is one of the most popular activities for VPN users everywhere. People enjoy having access to movies, music, and software through services like BitTorrent or P2P file-sharing. Both of these features are available through Private Internet Access, and you can download your favorite programs and files at reliable high speeds. Private Internet Access allows you to connect to websites that are not available in your country by using an anonymous IP. This VPN service enables you to access resources that would normally be inaccessible in your location without uncovering your real IP or geographical position. With Private Internet Access, you get 5 simultaneous connections, which is very generous for any VPN service on the market. 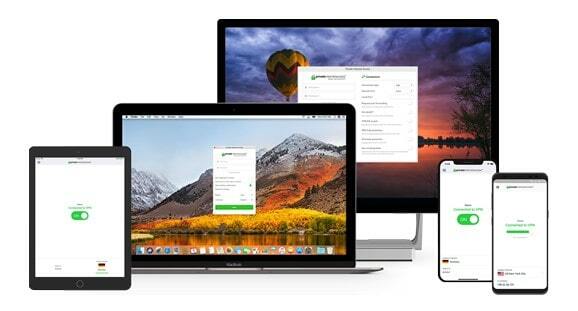 PIA lets you use their virtual private network features on as many as 5 devices at the same time, including your laptop, your phone, your tablet, and even your Smart TV or your game console. Unfortunately, Private Internet Access does not allow Netflix streaming. In spite of their best efforts, the developers at PIA cannot ensure that you will be able to see your favorite series on this virtual private network. Some users have complained that you cannot access Amazon Prime or Hulu either, but some Private Internet Access forums talk about ways of getting around the problem and that some servers offer these streaming services. You might not be able to access Netflix with Private Internet Access, but you can try to download your favorite shows with the impressively high torrenting speed that they offer. In the end, you still get a good deal for a decent payment plan even if Netflix is not on the menu. As one of the oldest VPN services on the market, Private Internet Access pays very close attention to user privacy and security. The company has even assured that they have no interest in using the data of their registered members for any purpose such as gathering, selling or sharing with third parties. Private Internet Access employs a “No logging” policy, which means that the data you use for accessing their VPN services is not stored or monitored in any way that could bring prejudice to you. Also, PIA does not allow advertising that could interfere with your experience or overall performance while using this virtual private network. There is a general rule of thumb that says you should avoid VPNs based in the United States. This country has some of the harshest laws when it comes to online surveillance, and virtual private networks come under a jurisdiction that asks them to reveal any data they have on users and their activity. Rumor has it that the NSA can collect this information through secret warrants and that few VPN companies can resist them. Private Internet Access is based in the US. You might think that the information you provide online is already under NSA surveillance and that your private virtual browsing is not that private after all. However, PIA uses a “No logging” policy that leaves very little data available to the authorities. In fact, if you ever become a special point of interest for them, they might only find out if you are a customer or not, without revealing your activity on this virtual private network. All in all, Private Internet Access offers optimal privacy protocols and ensures that your data is secure at all times, even from the US government. Additionally, if you want to be completely sure of this feature, you can choose the Maximum Protection module for your data, which is extremely difficult to break and continue your virtual browsing without any worries. Private Internet Access claims that they offer 24/7 customer support. And while you can email them with your queries and complaints, you cannot actually talk to someone, since there is not a “Live Chat” option available. This lack of communication kind of deconstructs the all-day support feature, and makes it more of a “wait in line” option, regardless of where you are located. Tech support on Private Internet Access is reliable and competent. However, if you have to wait a few hours before your problem is solved, it ruins a bit of the excellent experience that this virtual private network has to offer. PIA claims that it only takes them as much as six hours to answer customer emails, but several users have complained about having to wait for days before anyone addressed their complaints. For example, if this is your first time using a VPN service you will need permanent support every step of the way. If you encounter a connectivity issue, waiting for them to respond to your email will seem like an eternity. By the time they actually get around to solving your problem, you might as well just have installed another VPN or gave up on private browsing altogether. Fortunately, an experience with the customer support department from Private Internet Access does not have to be so dreary. If you are in urgent need of their service, you can contact them via Twitter and hope for a speedy resolution to your problems. If you don’t have an emergency and Private Internet Access issues are the least of your worries, you can address the FAQ section on their website. Here you can find an installation guide, tips, and advice on using this virtual private network at its maximum potential. This feature is essential for keeping customers mildly satisfied, but the addition of an online chat option would drastically improve their services. When you choose one of the most popular VPN services on the market, you would expect top features on every level, including payment and pricing options. Private Internet Access does not disappoint in this area, and you will be pleasantly surprised to find out that you can get more than you bargain for with several of their packages. Private Internet Access is quite affordable for the regular use when you consider the high downloading speed that it offers in addition to features like Kill Switch, Anonymous IP and as many as 5 simultaneous connections. You would think that a virtual private network that extends to over 3,200 servers worldwide would ask for huge payment plans and have a difficult refund policy. In fact, these features are exactly opposite to the worse possible scenario. Private Internet Access has just one plan with three tiers of pricing that you can choose from depending on the length of time that you want to use their services. This simplicity makes things convenient for everyone. On one side, you, as a user do not have to go through a bulky selection of offers. On the other hand, PIA can monitor the quality and quantity of their consumers based on the packages that they are willing to purchase. The first option of the Private Internet Access payment plan is a month-by-month subscription that you only prolong if you need their services. This feature requires you to pay $6.95 per month, but you get all the VPN features included in your purchase. Your annual fee would extend to $83.4 if you renew your subscription every month. If you want to use all their VPN services for an extended period, you can opt for a one-year subscription that will have you pay just $3.33 per month and only $39.95 for the whole year. That is less than half of what you would pay if you would choose to renew your monthly subscription 12 times in a row. Last, but not least, you can choose the Best Value payment plan from Private Internet Access, which includes a two-year subscription at only $2.91 per month, and a total fee of $69.95. With this option, you get unlimited access to all the VPN services available from PIA, and one of the most attractive payment plans on the market. As you can see, the paying options are not short and you can safely use your credit card, whether you own a Visa or a MasterCard to pay for VPN services without risking your personal data being stolen. This security option is possible through the “No logging” policy of Private Internet Access, and their strong encryption protocol. Private Internet Access employs a refund policy that allows you to ask for your money back within the first 7 days that follow the start of your subscription. Unfortunately, if you have opted for a longer payment plan and you want to get out of it before its end, you cannot ask for a partial refund, and even if you ask them directly, they will not give you the remaining fee back. Therefore, if you want to use the VPN services of Private Internet Access, you will have to make sure from the start that you can subscribe to a lengthy plan without any trouble. Private Internet Access does not offer a free trial. If you want to test their VPN services you will have to enroll for the monthly payment plan, which will cost you $6.95. If you are not content with what you get for your money within the first week of use, you can ask and receive your money back. As it is the case with every VPN service out there, there are several pros and cons to using Private Internet Access. As we mentioned before, this virtual private network is one of the most popular services on the market. Their worldwide reputation was built on excellent performance and customer satisfaction. According to your needs and desires of using a virtual private network, you can tell by these benefits and disadvantages of using Private Internet Access if this is the right VPN service for you. Most of these features can benefit you in the long term, while others can become short-term nuisances, if you require immediate customer support or if you want to get out of your payment plan. All in all, Private Internet Access offers plenty of VPN features that will enhance your online experience. Their high level of data protection allows you to browse freely without worrying that your personal information is at risk. Also, their worldwide presence and high downloading speed mean that you can log in, do your work and get out with maximum success and in record time. Private Internet Access (PIA) still needs to improve in some areas, such as customer support and streaming services like Netflix, Amazon Prime, and Hulu. Also, even if they have a very attractive payment plan, maybe a free trial of just a few weeks would not be too much to ask. Nevertheless, if you want high-quality performance on a virtual private network, you cannot go wrong by choosing Private Internet Access. This VPN service will reward you for your money with some of the best features on the market and without risking your personal data.